Can’t get enough of volatility this week? Let’s take a look at Uncle Sam’s February retail sales release tomorrow at 12:30 pm GMT and see if there’s a trading opportunity or two that you can take advantage of. Instead of gaining 0.2% as analysts had expected, consumer spending actually contracted by 0.3% last January. That’s the fastest decline since February 2017! On top of that, the core reading clocked in flat when market geeks had estimated a 0.5% gain. Turns out, 5 of 13 retail categories saw month-on-month decreases. 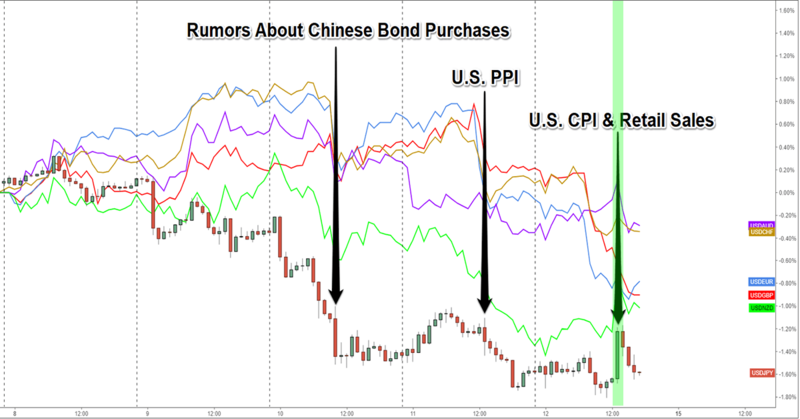 But what really caught market players’ attention was the downgrade in December’s figures. What’s up with that?! December’s downgraded figures and January’s decreases hinted that retail purchases are starting the year on a weak note. BFD, since consumer spending makes up a huge chunk of Uncle Sam’s growth. 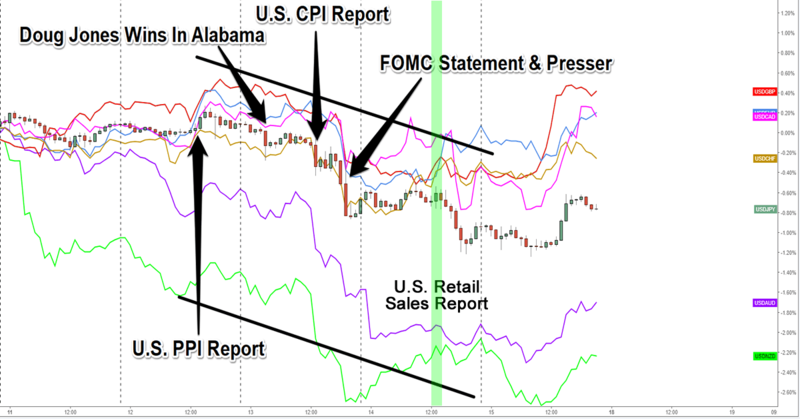 This is probably why the Greenback shrugged off a stronger-than-expected CPI release (which was printed at the same time as the retail sales report) and extended its intraweek downtrend during the session. As we can see above, analysts are expecting both the headline and core readings to show 0.3% uptick in February. This implies that food and energy price fluctuations aren’t expected to factor too much in the reports. ISM’s non-manufacturing PMI report revealed that the retail trade industry saw expansion in most categories including business activity, new orders, employment, and new export orders. It only showed decrease in “backlog,” which is still a pretty good sign of increased consumer activity. A separate consumer survey by the University of Michigan supports the uptick in consumer activity, as it hit its highest reading since 2004. Apparently, consumers are pretty happy about the labor market’s strength as well as the higher after-tax pay they would get at the heels of Trump’s tax cuts. Meanwhile, The Conference Board consumer confidence survey sported its strongest reading since 2000 on the back of recent labor market improvements. Consumers showed more optimism on the job market, present-day conditions, and the pace of economic growth. So far so good! Last but not the least is the NFP report itself, which left analysts’ expectations eating dust in February. Sure wage growth stuttered a bit, but job gains is job gains, nam sayin’? Previous releases also support higher retail sales growth in February. As you can see below, analysts tend to underestimate the headline February retail sales just a tiny bit too often rather than overestimate them. More importantly, February’s headline readings tend to print higher growth than January’s figures. Core retail sales estimates also look promising. As you can see, market players have underestimated core readings in 8 out of the last 10 releases. And though the odds are pretty tight, February also tends to show faster growth than January’s core growth figures. So, how can I trade the report? 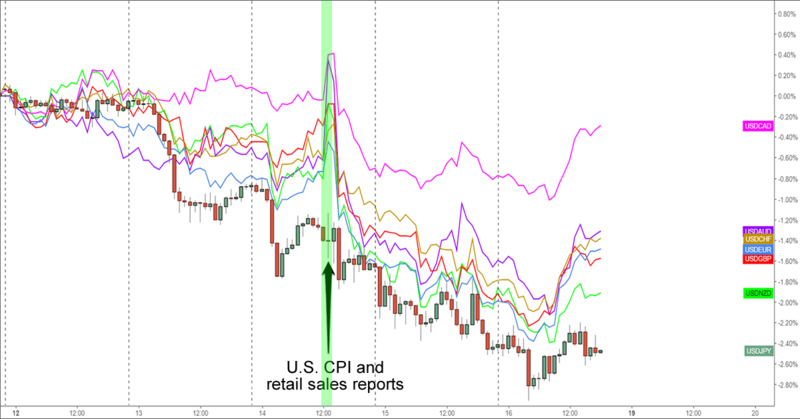 Based on what we know from above, it looks like there’s legit reason to expect higher retail sales growth in February. But before you place your buy trades like there’s no tomorrow, you should also note that the report probably won’t affect the dollar for long, especially if there are other catalysts affecting the Greenback’s price action. If February’s retail sales growth turn out to be stronger than January’s as the leading indicators suggest, then we could see renewed demand for the Greenback and even an extension of its uptrend (if it’s on an intraweek uptrend). But if the Greenback is on a downtrend, then you could use a spike as a way to jump in. Likewise, the report could provide retracement or reversal opportunities if it prints to the downside. Make sure you stick around during the release so you don’t miss out on any opportunity!